In today’s digital world, everyone has a home field advantage. You have the ability to connect with your customers directly and engage with them in ways that are unique to your business, not just on a social network’s terms. 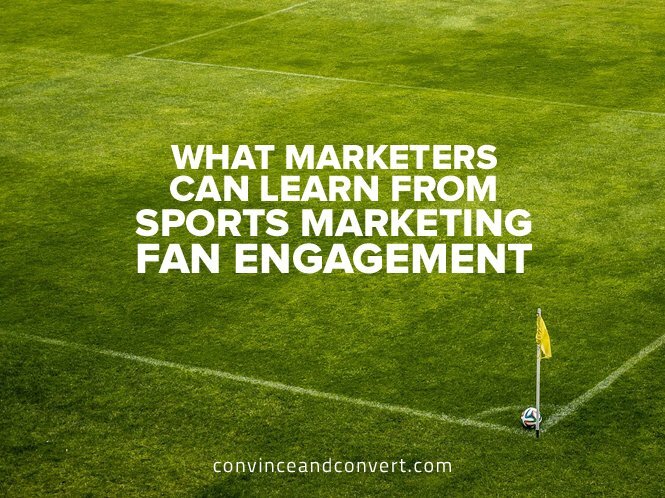 No one does this better than sports teams, who are using innovative engagement capabilities to drive even deeper fan conversations, extend the fan experience to new channels, and create year-round relationships for seasonal products. Here are some of their best techniques. It starts with providing reasons for consumers to identify themselves via capabilities such as commenting and user-generated content. Once you spark their interest, you’ll need a unified and easy system for the user to log in. Many companies choose to create this with social login and registration. Pro Tip: Implementing social login allows users to register quickly via one of their social profiles and allows you to collect the data they are storing on that profile. Companies and brands have the opportunity to connect with thousands of people. Brands can do this through catered loyalty programs that allow users to feel more connected to the brand. For example, Australia’s Melbourne Storm implemented a new social login and registration system and has used it to create one of the most innovative loyalty programs in Australia. It even earned them a spot as a finalist in the global 2016 Stadium Business Awards this year. Another example is how the NHL Winnipeg Jets use their loyalty program to engage fans and cut costs. Season ticket holders get up to 3,000 “Jets Points” when they pay for their tickets in full and on time. But if they pay via a check, the Jets Points double. Checks save the Jets from having to pay credit card fees, and with credit card companies taking 1.5 percent of every credit card swipe, that amount adds up—hence, double points for checks. Fans can use Jets points for gear, memorabilia, and gameday or non-gameday experiences. All companies and brands have the opportunity to build loyalty programs like these to engage with fans and build a deeper brand experience. Creating portals and channels to foster community is a great way to keep fans engaged. Creating these online experiences and communities allows fans to feel like they are part of something. Take the Cleveland Cavaliers, for example. 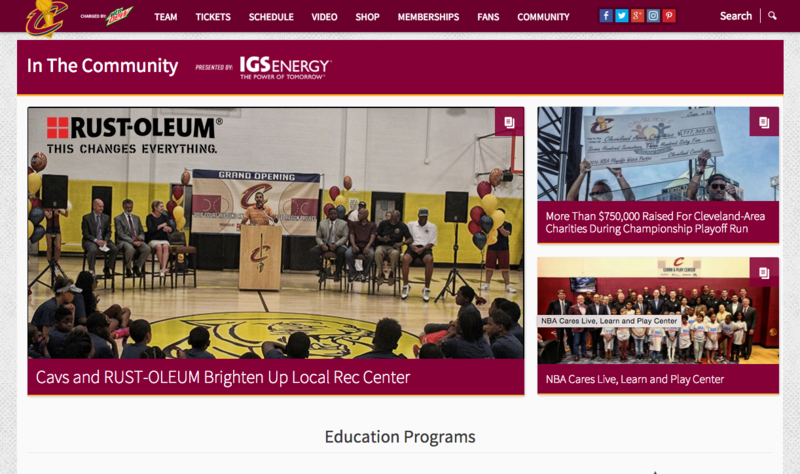 They have an entire community portal dedicated to campaigns, volunteer opportunities, promotions, and even camps. Through different efforts such as education programs and online fundraisers, they are able to connect with a variety of fans both online and offline. They have created both in-person and virtual communities to find ways to engage with fans of all backgrounds and ages. Other industries can use this example of creating a community within a brand. Creating meaningful shared experience both on and offline will make your brand more exciting and appealing to customers. After obtaining registered users, you can begin to personalize the customer journey. Give users and fans the ability to feel like they own their profile. Allow them to select their favorite uniforms, choose their rivals, and follow their favorite players. Using this data, you can personalize relevant content and ads to drive upsells. By following these steps, you can create a digital fan engagement strategy that really works. Users are looking for ways to be involved and support the teams, brands, and organizations they love. Take advantage of that passion, and create experiences that keep them coming back.